Hollywood Beach Florida Boat Rentals Available trough us we offer variety of services such as Boat’s and Yacht’s our other services are available like Jet Ski rental in Hollywood area. Named after its celebrity laden counterpart in California, the six miles of Atlantic Ocean stretch beautifully along Hollywood Beach, Flordia. A rich history of extravagance duly owed to the name is almost tangible to the touch, but take it from me, a California native, the waters are much more warm out here and perhaps that is what makes this such a popular spot and a perfect location for one of our six hot spots. Thirty square miles of excitement easily make this one of the more visited locations. I’ve taken a look at the forecast for the next few months through winter and spring 2017… it is going to be absolutely beautiful out here and a HUGE waste to spend it indoors roaming Facebook of going full zombie on Netflix. Unleash your inner Kraken and make some memories whether you our one of our returning locals or one of the hundreds of tourists that we’ve gladly serviced for over (X) years. Compare us to the competition and it’ll become apparent why we have so many locations and testimonials cementing us as the best and brightest. 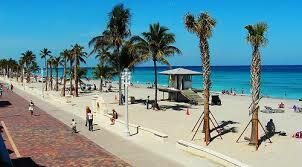 Be sure to explore the boulevard on the beach before your appointment with one of our trained professionals. I spent one of our promotional events several days ago underneath the soothing, sunny shoreline and it was magnificent. An assortment of well maintained watercraft is literally waiting as you read this. The celebrities out in Hollywood use services just like ours but why do you think so many of them vacation out here? The answer is simple, we live on the superior side of the country where going full YOLO is much easier in warm, tropical waters. The Atlantic is so much better, trust me. Although temperatures vary across both oceans, the Atlantic ocean is warmer on average, sometimes by as much as 16 degrees Fahrenheit at a given latitude. This is due to a number of factors, such as it being shallower, smaller and narrower than the Pacific ocean. Anyway, my point is this. You either already live here or if you’re reading this, are among those fated few lucky enough to visit these golden lands… at which time the choice is clear. You need to contact YOLO and leave the pressure of the mainland behind for a while. There is a thousand reasons to explore the coast, regardless of yours or your family’s, we are the best in the business. Our reviews speak for themselves so be certain that you don’t get left behind when the tide rolls out! Yolo Boat Rental Hollywood Location. We have Something fun for Everyone.Open Day and Night We Beat Competitors Price’s! Boat Rentals Starting at $80 give us a call.